It works perfectly! I had it installed in the entrance way of my house and it captures everyone that comes inside without a hitch. Good thing it worked as it took me awhile to get it installed, not the best handyman or technician there is. The remote control of the camera does not work. I need to be near the camera in order for it to function. It works but it took me some time to have it running. This is not easy for anyone who is not tech savvy. This security surveillance camera is great deal. You can mount it just about anywhere in your house. The video quality is clear and high quality, you can definitely see what is going on even for those videos recorded at night time. It has also motion sensor which I normally set when we are out of the house since using it conserves the battery of the camera. Works great so far. I've been looking for a camera that can record in night vision and with motion detection. Foun this NiteWatch which looks like a security sensor at first look. 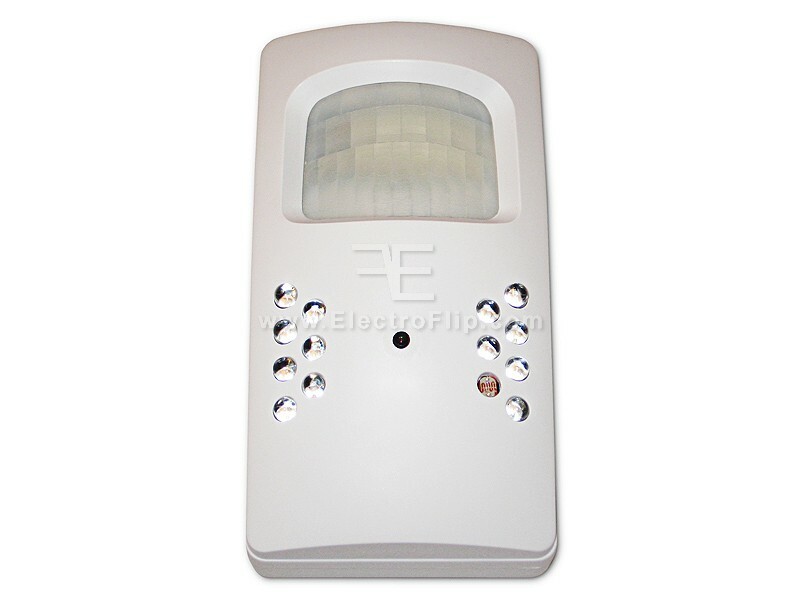 It has 13 IR LED lights which captures really clear videos at night when all lights are off and the motion sensor have a wider range of 25 feet. Also, the camera is easy to use since it comes with a remote control that you can use to switch the camera on/off. I can also connect it to our TV if I want to use it like a CCTV cam. It is really a perfect home security camera for me. The motion detection works great. Placed it in the hallway and it automatically records every time someone walks there, perfect security. Received my unit in good condition few days after I placed an order. With its remote control, the camera is easy to use and configure even if it has already been setup in an area where access is not easy. You can just use the remote control to start or stop the recording and even activate and deactivate a setting. It's motion sensor is sensitive so every little movements are captured on video which makes it a reliable security surveillance camera. Mounted this security camera on my garage to record anyone who may come in and out of the house through the garage. The night vision and motion detect feature of this cam would really help that someone on video. I have it for almost 3 weeks and have caught my daughter once who came home late at night from a party. She thought no one's going to notice since everyone was sleeping and no one really comes in through the garage. She didn't know I had the camera there, when confronted she could deny it. Works! I needed a security camera that can record in night vision and motion activated as well, this camera would be a perfect fit. I needed to add a security feature in our house so decided to pick this one. It was easy to install and the remote control makes it easy to control the camera like change the recording mode and start recording. It records clear video even in night vision. The camera is small and it is easy to setup. Install it in my store, in the back counter, since it's the blind spot in the store. The CCTV on the front is not able to capture that side of the store. The camera video quality is good and clear, not the same as other cheap mini cameras. Fortunately, I haven't caught anyone doing bad things in that part of the store.